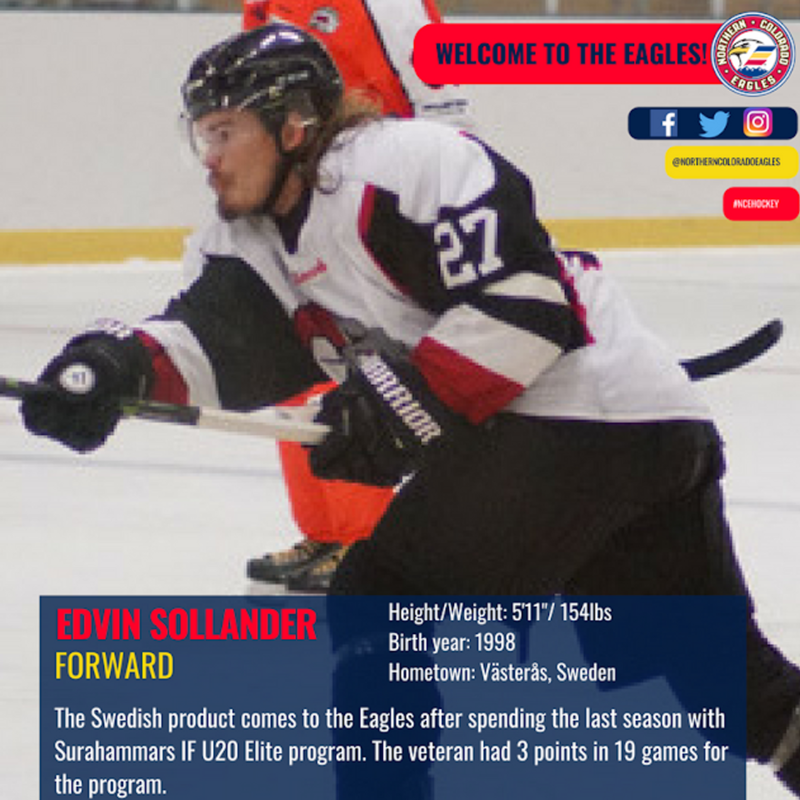 The Northern Colorado Eagles are proud to announce the signing of Swedish forward, Edvin Sollander, for the 2018-2019 season. Sollander hails from Västerås, Sweden. The Swedish product comes to the Eagles after spending the last season with Surahammars IF U20 Elite program. The veteran had 3 points in 19 games for the program. "Edvin is a power forward who plays a heavy game. He goes to the dirty areas and enjoys the physical part of the game. His net front presence and skill is dangerous and will be a great addition to forwards. We are excited to have Edvin join our organization and help him get to the next level," said Head Coach and GM, Steve Haddon. 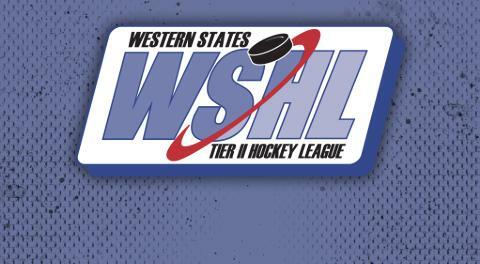 The Eagles hit the Ice September 4th for a week of camp, which is open to the public. Don't miss the Blue and White game on Saturday, September the 8th at 3:30pm at the Greeley Ice Haus. This all-star game is free to attend. As we get closer to the season, we are still working hard to get everything ready. If any new sponsors, restaurants, local businesses, billet families or volunteers in the Greeley, Eaton and surrounding areas are interested in joining the Northern Colorado Eagles family, please contact us via the email addresses below.